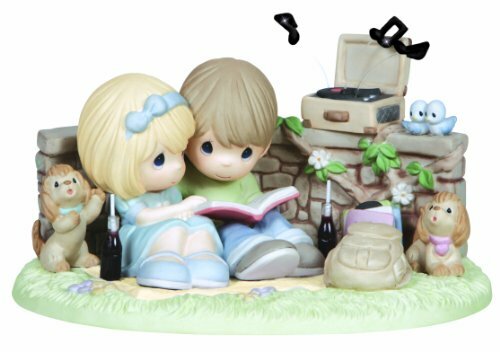 Take A Nostalgic Trip Back In Time With A Collectible Bisque Figurine That Brings Back Happy Days Spent Listening To Vinyl Records While Sipping Sodas Out Of Glass Bottles. Even The Puppies And Bluebirds Can't Help But Enjoy The Music. Everyday feels like a love song when you are with someone who can only be described as "grand." 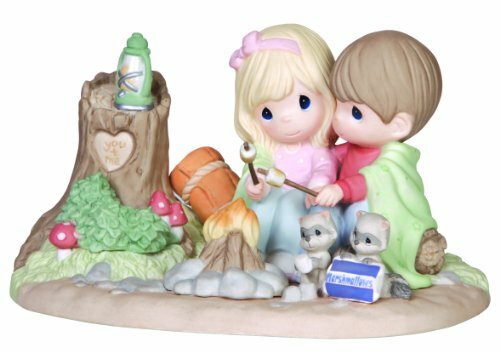 Limited to 3,000 pieces, this is a Collectible Bisque figurine, which is 15% larger than standard pieces and boasts beautiful blue eyes! 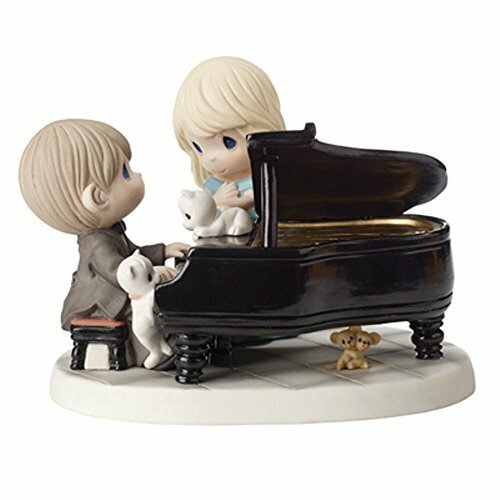 It plays the tune "Fur Elise" with a traditional wind-up crank to set your love story to music. 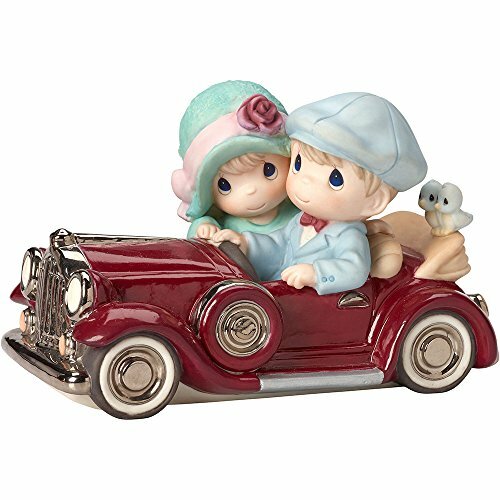 Limited to just 3,000 pieces worldwide and 15percent larger than typical Precious Moments figurines, this limited edition sculpture features an elegant couple with blue eyes Cruising in their classic car. 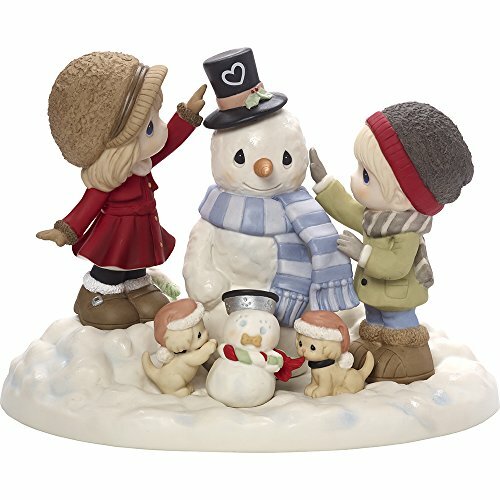 For those yearning to relive simpler times, it is sure to evoke feelings of nostalgia and carefree living. 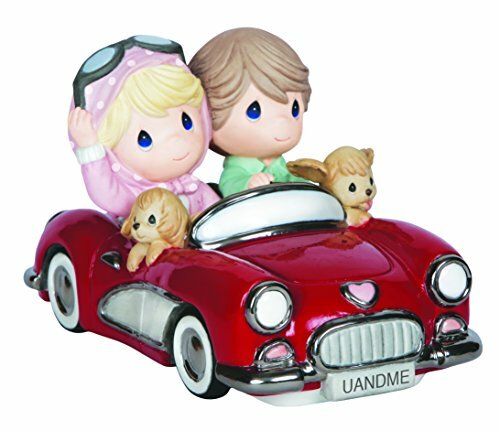 It is a "must have" piece for Precious Moments collectors and antique car enthusiasts. Notice the license plate even shares a loving message! 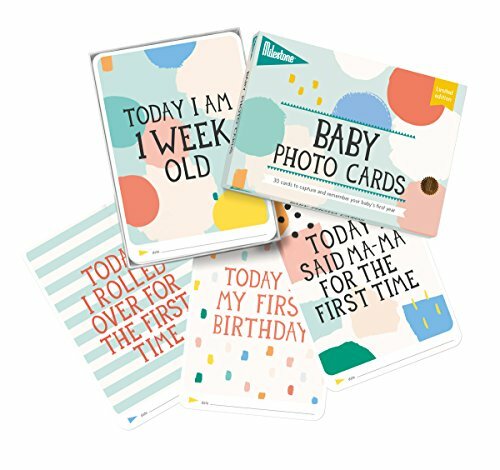 makes a thoughtful Valentine's day gift, sweetest day gift, engagement gift, 'thinking of you' gift or 'just because' gift, celebrating love at any age and and any stage. 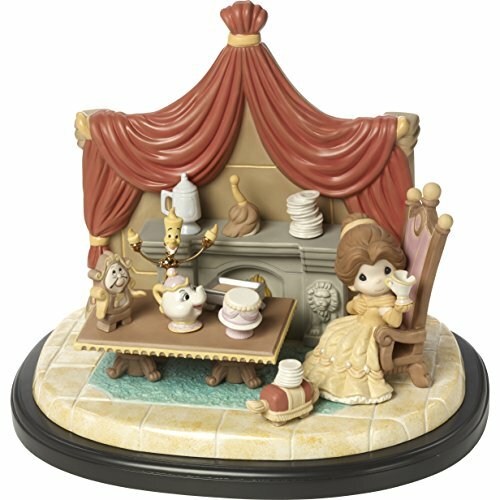 Meticulously crafted from fine bisque porcelain and expertly hand painted. 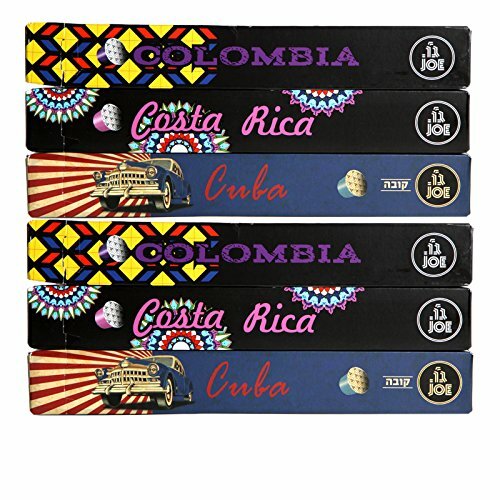 Approximately 5H x 8W x 4.25D inches.